"The Lighter Side of School Life" was written in 1914 as the Great Powers prepared to go to war - a wry, sideways glance at a carefree age in schools: one with a golden glow, soon to be extinguished. 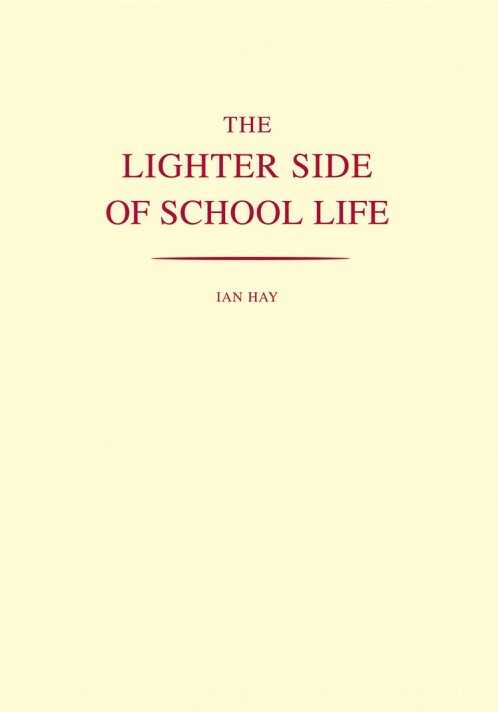 Hay describes the huge variety of expertise needed in any era by those who run schools or teach in them: political and psychological, sympathetic and diplomatic, as well as practical. In an age which prizes specialisation so much, the good schoolmaster remains a generalist.